Making your employees happy can be an effective way to give your company an overall motivation booster. Whether your team is made up of five or 500 people, work can weigh on everyone, even the most dedicated individuals. However, working them less can actually yield more. Improve the overall morale of employees and your company may experience an increase in inspiration and creativity, which are the gateways to great work, profit and even a little recognition. As Forbes explained, business leaders need to make employees feel like they're working towards something from the start. The vision and goals need to be understood from the moment a new person first walks into the office. Just giving someone a sense of responsibility can increase his or her likelihood of participating in it and encouraging others to get on board. Keep everyone connected with a company newsletter or routine emails that discuss progress and give shout outs to exemplary employees. Sign your business up to receive a stack of The New York Times or The Boston Globe weekly or monthly. If you specialize in business or marketing, this is not only a nice gesture that'll make people feel appreciated but it's a logical tool that can increase the knowledge of your work force. Anyone who's had a four-day weekend knows how downtime can rejuvenate the working man or woman. Unfortunately, there aren't always enough hours in the day to grant additional time off and still meet company needs. Reach a happy medium and give your employees a few hours off, in the office. People often wish they had time to edit that video footage from last summer's vacation to Ireland or to update personal blogs. Let them do it – at work. Sydney-based software company Atlassian calls this free time "FedEx Day," according to Entrepreneur. It's less than a twenty-four hour period that employees have to work on their own projects before they present them to the rest of the companies, so long as they're related to the company's services. From the presentations, Atlassian has gained a number of interesting projects. Letting people work independently on something that excites them not only makes them happy but they can also benefit your business. Letting people have fun in general is a piece of advice from both Entrepreneur and Forbes. Believe it or not, a good portion of people actually pursue careers that feel meaningful and enjoyable to them. Keep your workplace and their passion a fun part of their lives by allowing these people some time to play. As founder of Incorporate Massage, Amelia Wilcox told Forbes "an organization that plays together stays together." Some of the most successful companies use this as their mantra but even a small shindig can do the trick. Host a barbeque in the summer or some type of holiday party in the winter. Businesses don't necessarily have to foot the entire bill. Smaller organizations or others that are on a budget can still organize some company fun. Send out an email or letter to employees, inviting them on an overnight retreat. Include timeline, prices and other information so that they know what to expect. The camaraderie and fun times during the trip can build your employees into a stronger team. Acknowledge, reward and celebrate your staff so that they feel compelled to do their best work for you. 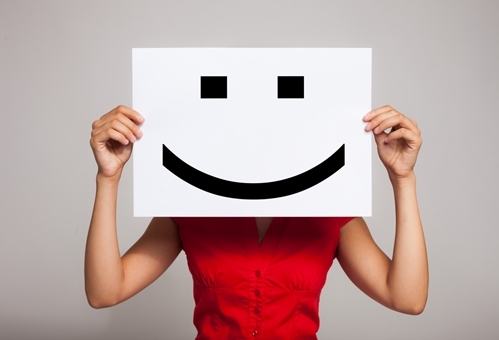 Keeping their happiness in mind can do a lot of good for your organization.